The One 01 Spinning Wheel is offers a large amount of style at an affordable price. With a brushed stainless steel case measuring 41.30mm x 9.35mm the watch displays unisex proportions. What makes this timepiece so interesting is innovative white dial displaying hour and minutes via two rotating discs. 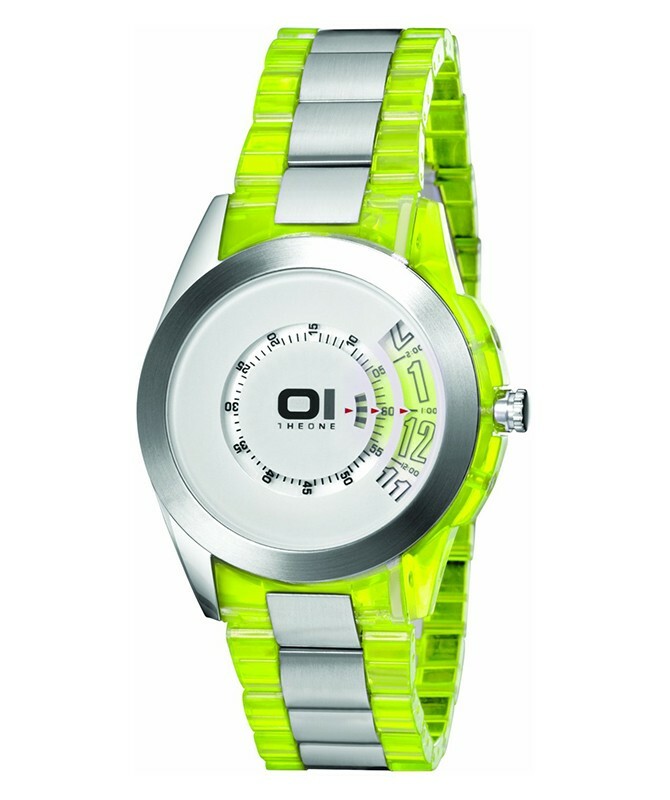 Other features include an enamel bezel, mineral glass and a two-tone yellow colour PU/stainless steel bracelet.